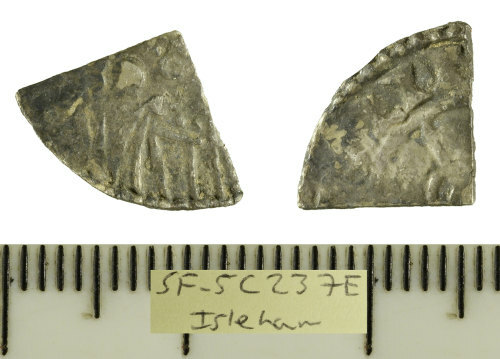 A worn silver hammered cut farthing struck for Edward the Confessor, dating c. 1050-1053. 'Expanding cross' type, moneyer uncertain, mint of Lincoln. As North 823. A silver penny of Edward the Confessor, expanding cross type, moneyer Osfyrd of Lincoln, struck AD1050-1053. North number 823, heavy coinage.